You’re article on the ‘scam’ of oral Gluthatione is essential reading. The internet market now appears to be flooded with skin whitening pills in the form of gluthathione. My understanding is that there these pills do not raise gluthathione levels in the body and so CANNOT deliver on their promise to whiten the skin. I’m guessing that for anyone wishing to naturally lighten their skin, this product taken with 1000-2000mg of vitamin C would ‘possibly’ be ideal. Can Indian gooseberry light skin? amla can, i have tested it on myself and it not only helps to glow the skin, but helps growth of hair and makes hair darker and thicker as well. how a tablespoon of tumeric wih water can make the skin lighter? Hi, i read your article taking extra vitamin c light the skin ,can you suggest these type of fruit like indian gooseberry,mausambi,orange & lemon light the skin ? i am from an asian country where people wants to get white. in my country glutahtione is the master of all whitening products and thanks to your article i realized i wont buy those promises of achieving whiter skin. instead i spend my money on buying vit c products and foods. thanks! Well if you read my responses you can achieve lighter skin without waiting for a long time. Glutathione pills are tricky and that they take about a year or so to work if you’re not doing it right. See glutathione needs a double dose of vitamin C or more and if you have thyroid problems or other immune diseases then glutathione will not work or atleast with the whitening effect. Vitamin C is quite good in lightening your skin but you have to take atleast 1000mg a day or more. Eating foods with vitamin C won’t work because they only contain a small percentage of it. I was looking into taking vitamin c supplements to brighten my skin which has about 10 shades on different parts of my body and get rid of some scars. However, i don’t know a good brand that i can purchase at a store. Any help? and do you take one tablet once a day or more? Thanks! Hi, an excellent brand of vitamin c is by the company garden of life. thanks! did it work to lighten your skin? buying whitening tablets and pills MAY casue side effects, i rather you stay away from them and try fruits and other foods to help lighten your skin. I had a dark skin and i was really frustrated about how to make my skin lighteri tried glutAthione but it doesnt work for me so i stopped and now i got a light skin and i really love it, soft, flawless light skin since i was taking 3000mg of vitamin C a day. i love your article really works for me. How long did it take for your skin to become lighter? I have dark skin and have been taking GSH and a lot of vitamin C for almost 6 months. I have seen no change at all so far. Can you share with us how many shades you lightened and also if you have any other skincare rigmen? is that true that vitamin c can make your skin whiter..? Hi, If I take 3000 mg of vitamin C what mg of vitamin E should I take with it? Thanks! To the people that have been using this for a long period of time and have seen results. Where did you see results first e.g. face? And were there areas that took a longer than the rest of the body to lighten? @Michelle: As far as I can tell, the effect is simultaneous on all body parts, so the darker parts of your body will obviously take longer time to get lighter. But, I’d say the areas that took longer to get lighter are the scars. Even for me, up til now, I am not even sure if it actually makes any difference on the scars. Hi Sha. Thanks for the feedback. May I ask how long have you been using vitamin C? Do you use any other products/vitamins with it? And how long until you noticed results? Sorry to be a pain, thank you! Thanks for the article, this really helps me a lot. I live in a hot and humid country and I have a light skin tone (asian) but it’s hard to preserve my actual skin tone living in a hot country like this (I don’t like wearing suncreen). So, I decided to give this a try about 10 months ago. Have been taking 1000mg of vitamin C (Blackmores) ever since but not consistently. My skin becomes lighter within 1-2 weeks and I could tell that it makes a difference on my skin tone as I’ve noticed that when I stop taking it for few weeks, my skin tone will not look as radiant as when I take it (it still looks light but not as luminous). Planning to increase the dosage to 2000mg just to see how light it can get in the near future. Oh yeh, I took this with 100mg of grape seed extract as well, not sure if it is contributing anything but I’ve read that it supposedly protect the skin from the damaging effect of UV rays. Anyone can comment on this? Hi! I’ve been taking Glutathione Pills 500mg/day with 1000mg Vit’C per day! I’ve been taking it for almost 3weeks now! My skin color is lighter now! and my eye color is also lighter! from Dark Brown to a bit lighter brown!! Yhey!!! I love it! It adds more confidence in me!!! ^^, Thanks for the article I’ll try to take more than 1000mg Vit.C from now on!!! May I ask where you purchased the Glutathione pills? @ April.. is it L-Glutathione pills you been taking ? and what do you think of I-Glutathione (Injections) .. I hear that they are easily absorbed by your body.. !! Where did you buy them?? hi, i take glutathione capsules and i even inject glutathione. i got whiter skin, how do you explain this article that the said suppliments doesn’t make the skin light? I’m planning on starting this, how long does it take to see results? Replies would be much appreciated, thanks. It takes about a month for skin cells to turnover (a bit shorter if you exfoliate), so that’s the minimum you’ll need to wait before you can see a change. Hi. Have you started yet? Did you see effects already? THANKS! Okay, I’ll see how I get on. I’m taking 1000mg hopefully that will be enough. Thanks for the advise about natural ways to lighten skin. guys so how long does it take to make ur skin at least 2 shades lighter. if i take 2000mg a day. hi! does taking high doses of vitamin c can give side effects? It’s quite unlikely as any excess will be passed out through the urine (Vit C is water-soluble). As long as you drink enough water, it shouldn’t give any side effects. This is an interesting article. I’ve been considering glutathione injections, but can’t do it right now as they’re so expensive. I’ll definately pick up some vitamin c pills and see how it goes. It’s good to see that there are skin whitening options which aren’t so expensive. Will i get hyperacidic because of this? i mean, vitamin c is acid right? Or was that a dumb question? Thank you! I can’t wait to try this. Imma start tomorrow. Yey! I’ve done a huge amount of research in to Glutathione and skin lightening creams, pills soaps.. you name it. One HUGE advice is: AVOID Glutathione and Skin lightening pills. There is no evidence to support that taking Glutathione orally will increase levels of Glutathione. Injections may work but they are expensive. I have been using Vitamin C 1000mg per day alone for 2 months now and I have seen no difference, (it just brightens the skin, not lighten the colour). 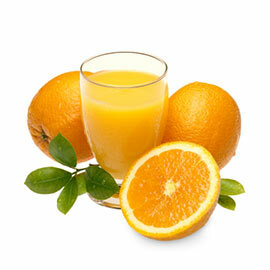 Vitamin C is not enough to lighten the skin effectively. It is more effective taken with Vitamin E and Alpha lipoic acid. Alpha Lipoic recycles the Vitamin C & E helping to keep your Glutathione levels raised. You can take supplements such as Alpha lipoic acid (a powerful anti-oxidant, has anti-aging properties) and is PROVEN to increase levels of Glutathione in cells. Vitamin B3 also helps with skin lightening by inhibiting melanin production. I repeat this three times a day. It’s said taking these on an empty stomach may help the supplements to absorb better. This may cause some discomfort and it’s really up to the individual.
! !IMPORANT: You cannot expect results straight away, you may have to wait 2-3 months and/or longer depending on your orginal skin tone These supplements inhibit the production of melanin internally which you won’t see until you skin has shed a couple times (skin sheds on average every 6-8 weeks!! Water is very important, it flushes all the toxins out of your body and overtime makes your skin glow. Drink at least 2 litres a day. I work out about three times of week and eat a balanced diet. i put it in a bag and steam my pores. it works! I’ve been taking 3000mg vitamin c a day and I’m really pleased with the results. I don’t take any other supplements with it and my skin is considerably lighter than it was. My only worry is whether it’s safe, in the long term, to keep taking 3000mg vitamin c a day. I was just wondering whether anyone knows, for sure, that it’s okay and whether there are any side effects of it. I have been looking online but each website seems to have a different view of how much it is safe to take and what could happen. Thanks. may i ask how long you’ve beent taking 3000 mg a day? vitamin C is water soluble and so you should be fine. the worst i’ve heard with vitamin c megadoses is diarrhea. i’ve been taking 2000 mg for a week and this week i’ve increased to 3000 mg.
I’ve been taking it for just over two months. thank you for replying! a lot of people have been asking how long everyone has been taking vitamin C and you’re one of the only ones that actually replied ahaha. is vitamin c enough to lighten the skin??? That’s ok 🙂 Are you taking anything else with it? It’s worked alone for me but going by some of the comments I’m not sure whether it does for everyone. i’m not. i’ve heard that pynogenol and NAC supplements can help as well though. i hope it’ll work for me by itself. i’m actually not really that dark to begin with, but i’m hoping it’ll help even me out along with some exfoliation and once i’m all one color again, i can be a little bit more relaxed with how my skin is dealt with. “Celin” Vitamin C tablet is going to help me to get fair? Please reply. I’ve never heard of those before. It didn’t really work like that for me, my hands and face are darker than the rest of my body but then I was quite dark to begin with. I’m thinking of making the cream for my face. i belong to a skin care forum where all sorts of these things are discussed. pycnogenol (i misspelled it in the first post!) is supposedly another antioxidant that can help lighten skin…not as cost effective as vitamin C though. NAC, or n-acetylcysteine raises glutathione levels in the cells. it’s essentially the same idea of taking glutathione pills, but it can actually be absorbed and used whereas glutathione pills just kind of go through you. i like the glowy appearance that i’ve gotten from taking the vitamin C. i’m kind of a dull golden yellow/brownish and i really want to get at least to a pale yellow (think stereotypical chinese skin). have you heard of lactic acid peels? they work really well for those kinds of areas. also go to skincaretalk.com. it’s a skin care forum kind of thing and they even have a whole thread on skin lightening. there you’ll find out what lactic acid peels are, how to do them, etc. Hi, Please be careful with NAC. It is said to be toxic in high doses… Also it is imperative to take as much Vit C as NAC to make sure it doesn’t form kidney stoners. You will need to consult your doctor before taking if you have a history of liver, kidney or diabetes problems. Vitamin C is water soluble meaning any excess will simply be excreted. It is the fat soluble vitamins that you should be more wary about; because it is fat soluble it huge doses of it can put stress on the liver. I’ve never heard of them but I’ll definitely have a look. Will most probably make a vitamin c cream or serum as I’ll know exactly what’s gone into it. just keep in mind that vitamin C creams and serums tend to oxidize very quickly so only make a small batch at a time! have you ever used lactic acid peels? do they work? i do use them. i use them once a week. they do work. the skin on your face, hands, and feet are probably exposed to the sun more which means they’re probably more sun damaged than the skin on your body. the lactic acid will exfoliate off the damaged skin layer by layer. i’ve probably lightened by 2 shades on my face just with the lactic acid peels alone. i’ve only done 1 series of 6 peels and i’m on a 2 week break right now from them, but i will start up again next week. you’ll also need a good sunblock to protect the skin from more sun damage. Sounds good. Well, I’ve registered with that forum and I’m just gonna have a read and maybe give it a try. Hope it solves my problem. so i had to stop, i want to know did anybody else had this side effect, i really want to lighten my skin with vit c but i dont know what to do can anybody suggest me the right dosage. sona, did you drink enough water with it? its important to keep your body well hydrated because vitamin c is water soluble. But, my regimen is a little tedious. At first it was ok cuz it was new and i was all excited but its kind of a lot and its getting old, especially when your in a hurry :(. So, I’ve been doing some research on another vitamin called pycnogenol. Its supposed to be really good for lightening. I just bought some today. I’m excited for it to start lightening my skin :). Google “pycnogenol skin lightening” and read all the good benefits. Its good for a lot of things. Im still gonna drink the green tea cuz i like it, i think it makes me glow and keeps my skin youthful but no more aloe vera juice cuz its DISGUSTING ugh! lol Anyways, I’ll probably post again in a few weeks. Happy lightening! I am very pleased than you noticed a result. I’m so excited to start this TREATMENT. My skin really needs this. I’m curious about how you’re doing. Please let me know. How long it took you to see the progress? Did you try lactic acid peels? Did you moisturize you skin in addition? I admit, I’m a sloth. i am using vitamin c UPSA-C.it is a water soluble vit c.will it help to lighten my skin? how long will it take? i am taking it two times a day.each is 1000mg! so will it help? in my country thait is mauritius,glutathione pills are not in sale thats y am using vit c alone! plz reply thank u! thank u so much.uh.. can you tell me if the vitamin c that am using is it good? that is Upsa-C?i would like to whiten my skin very quickly! how long will it take? can you plzzzzzz tell me! and yea i am not able to drink a lot of water right now because i am fasting.plz help me to whiten my skin within 1 month! thank u soo much Erin! what lightens scars more rapidly? consume vitamin e or applying it on the scars? and how many times a day? Erin are you part of SCT? ahaha your advice goes right in line with what a lot of people on that forum say. I used to be, yes. But I didnt really like it. will NAC and pycnogenol and vitamin c only gona help to lighten the skin rapidly? Well, idk.It depends on your dosage, and how dark you are. You will see some brightening pretty soon like in the first 3 days, then if you keep up with it (depending on your dosage and how much sun exposure your getting) you will notice a very subtle lightening in about a week or two. According to what I’ve read. But you can’t expect to lighten rapidly just taking oral supplements, hun. It just doesn’t work like that. I had a quesiton for you, I was wondering if you specifically saw lightening due to the supplements and how many days/weeks/months was it until you noticed a difference? Also, I was wondering if besides the likas soap there was any specific whitening/brightening lotion? finally, i was wondering if you had to switch makeup shades due to your lightened skin or if it was not that drastic? sorry for the late reply :), it was about a week or two before i noticed slight lightening. but, I noticed my skin started to glow/yellow a bit within a few days. No, I didn’t use any lotions for lightening. I moisturized with cocoa butter lotion for dark spots. I don’t wear makeup, so i dont know. what about the skin area around the eyes? does anyone know if the vitamin C is helpful in this matter? also, is it helpful for the areas like elbows and knees?